SMT Scharf AG has indirectly acquired an interest in 100% of the shares in RDH Mining Equipment, based in Alban, Canada, through its wholly-owned subsidiary SMT Scharf Corporation, also based in Alban, Canada. With this acquisition, SMT Scharf AG is further pursuing its corporate strategy and strengthening its market position as an integrated system provider in the underground logistics area. The purchase price amounts to around C$8 million (corresponding to approximately €5.17 million). 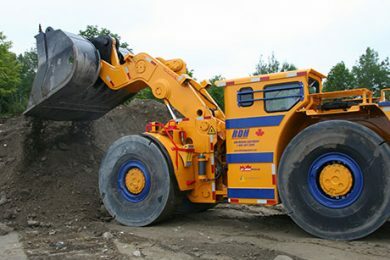 RDH has specialised in high-quality underground equipment for mining and tunnel construction for more than 30 years and has been especially active in the North American market to date with a revenue share averaging above 50%. Its varied product range extends from jumbo drilling equipment through to so-called load-haul-dump machines (LHDs), scissor lifts and low-loaders. Since 2011, the company has been one of the pioneers in battery-driven non-coal underground mining equipment. With around 50 staff, RDH generated sales of C$14.5 million (equivalent to around €9.6 million) in its fiscal year ending April 30, 2017.